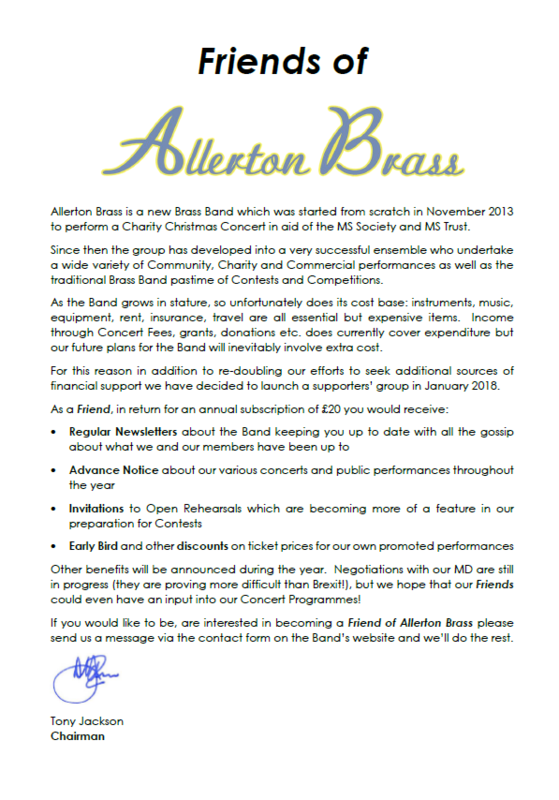 At our Christmas Fantasia concert a couple of weeks ago we announced the launch of our Supporters’ Club, the Friends of Allerton Brass. Below is the launch document prepared by our Chairman which explains the need for the Group and the initial benefits you will receive as a Friend in return for your annual subscription. The Group officially launches on 1 January 2018 so if you are interested and would like more information, or you know now that you would like to become a Friend, just drop us an email through the Contact Page and we’ll get in touch and get you signed up. 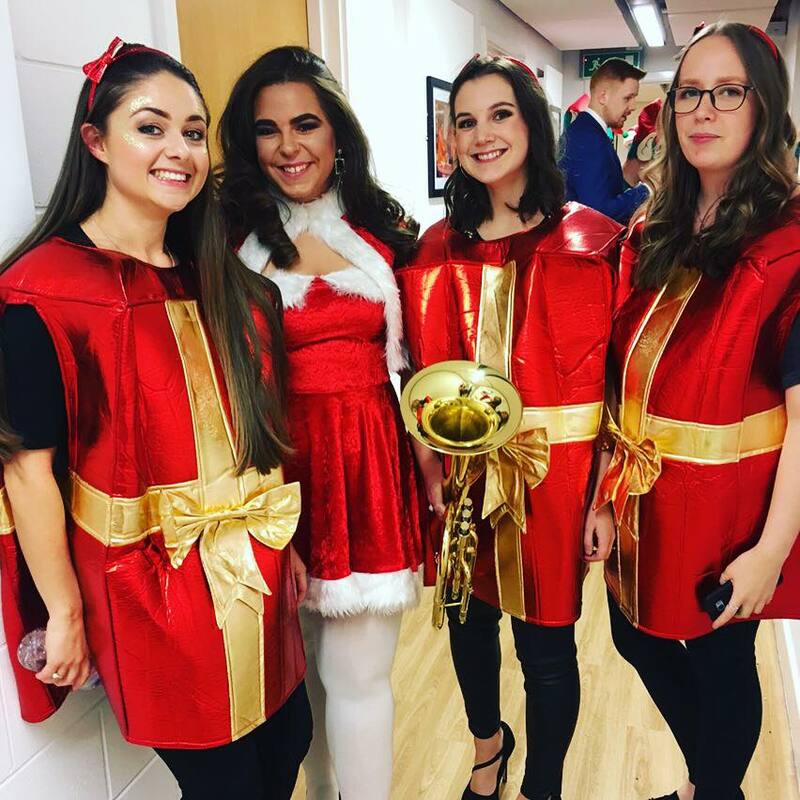 Saturday 2nd December saw us get our Christmas Season off to a flying start with our Christmas Fantasia performance at our favourite Capstone Theatre. 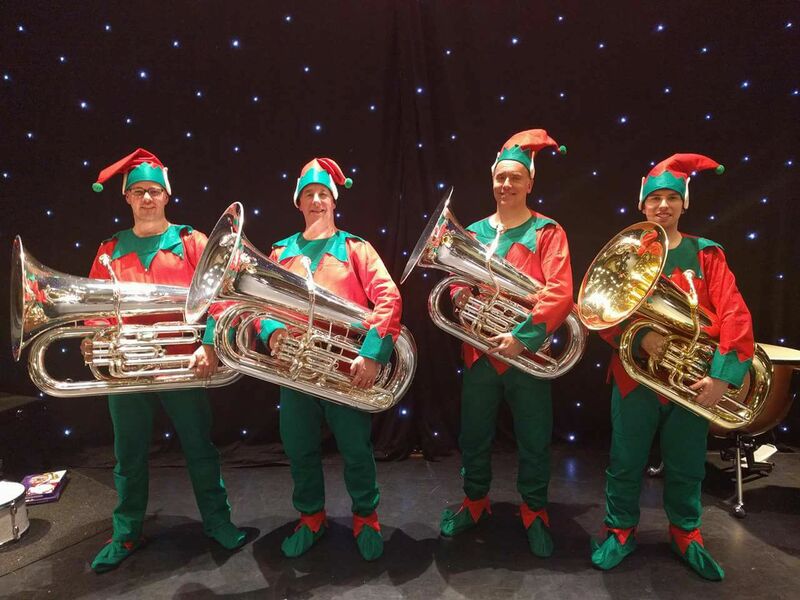 Supported by Ali White and the wonderful choir of Sudley Junior School (who were absolutely fabulous again this year) we performed a varied programme of music much of which had been arranged by our MD Adam Taylor and our Principal Euphonium Mike Jackson. Judging by their reaction and comments the near capacity audience, our largest ever at Capstone, thoroughly enjoyed the evening. The Band and the Choir too had a fantastic time and really enjoyed performing together. Despite only putting them together a couple of hours before the performance, our joint items went off really well too and the children were so disciplined as Sergeant Major Adam Taylor marched them off stage for the interval. A huge vote of thanks to everyone who supported us on the night, to Ali White and Sudley Junior School Choir and of course to all the staff at Capstone who are so great to work with and provide so much help and support.